Concerns about concussions and other head injuries have a lot of parents debating about whether or not to allow their children to play high school football. But I have been stating for quite some time that I don’t think youth or high school football is doomed and believe that there is credible evidence that recent initiatives on coach/player/parent education, state laws, and brain injury risk management plans are already having a positive impact. Unfortunately, my opinion isn’t shared by everyone, despite the evidence. However, I recently came across an opinion piece that I would describe as the contrary voice of sanity amid a sea of sensationalism spurred by the media, advocacy groups, and most researchers. In short, these groups very much need tackle football to be considered dangerous because that is good for business, at least in the short term. There is no denying that advocacy groups and researchers are just doing their job and have provided a valuable service with the heightened awareness of this very real risk. But too often they draw conclusions which are just not backed by good science, at least for youth and high school football. Furthermore, the media is more interested in publishing the reports that will shock their audience as opposed to those with a contrarian view. The author of the article, who is a father and physician, speaks to that in detail, but also eloquently points out the beneficial aspects of playing football. Most of the media hype is centered around the NFL concussion lawsuits, the basis of which have nothing to do with youth athletes. 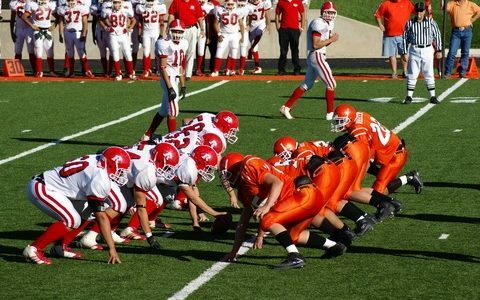 The recent Boston University study about increased risks to NFL players who played youth football before age 12 is scientifically flawed. It doesn’t take into account other high risk behaviors of NFL players and there was no control group. Even the researchers admit the limitations of their study. Science and hard facts are what should drive a parent’s decision making on whether a child should or shouldn’t play football. The potential for injury, which is minimal at the youth and high school level, is only one element to consider. Apparently, the emotional tide is beginning to turn, as the number of high school football participants is slowly rising. As a risk management expert, I encourage you to read Ed Riley’s “High school football’s benefits outweigh the risks” and consider the points he raises. And if, like me, you see the sense he makes, please share it with others. We have more more posts on this topic on our blog.